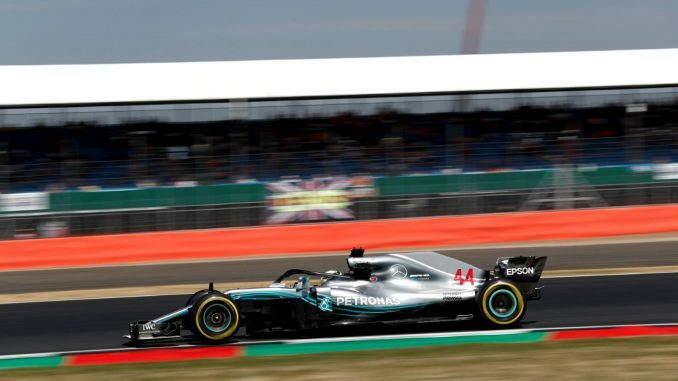 Lewis Hamilton broke the track record on his way to securing pole position at the British Grand Prix at Silverstone this afternoon. 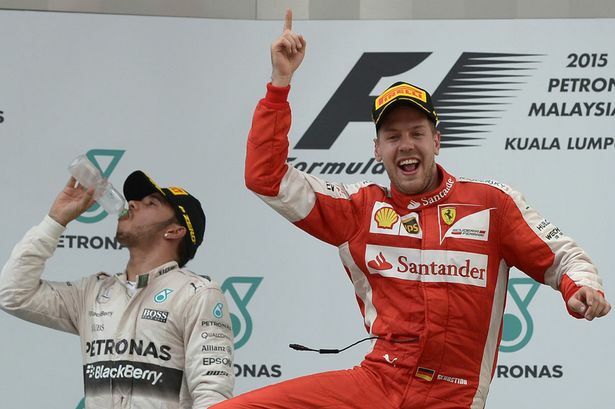 The current world champion edged out Sebastian Vettel by setting a time of 1:25.892, while Kimi Raikkonen will start third, with less than 0.1s separating the top three. Vettel had been a doubt for qualifying after managing just eight laps in FP3 this morning, having needed to get a massage for a neck injury, but the Ferrari driver was ready for the start of the qualifying hour, breaking the track record twice himself before being beaten by Hamilton in the final moments. Daniel Ricciardo has hindered by a problem with his DRS in Q3, as the Australian’s rear wing failed to open when he was driving through the three DRS zones in use this weekend, leaving him behind teammate Max Verstappen. Brendon Hartley missed qualifying after a suspension failure caused too much damage to his car in FP3 for the Toro Rosso mechanics to repair in time. As a result, the FIA made Toro Rosso change every part of Pierre Gasly’s suspension before allowing the Frenchman to take part in qualifying. Q1 was red flagged less than five minutes in when Lance Stroll spun, leaving his Williams stranded in the gravel at Brooklands. Once the session restarted, his teammate had a similar incident, although Sergey Sirotkin managed to get his car out of the gravel and back to the pitlane. 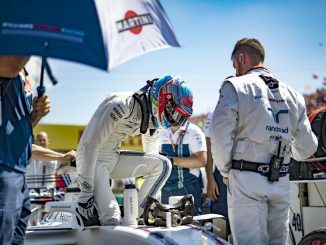 Sirotkin did manage to get back out on track towards the end of the session after changing tyres, but was the slowest driver to set a time. Carlos Sainz headed to Silverstone having made it through to Q3 in every race so far this season, but the Spanish driver’s run came to an end as the Renault dropped out in the first part of qualifying. 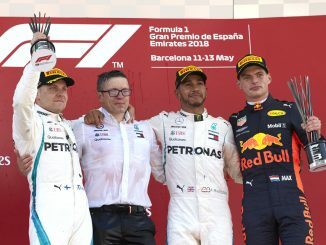 Haas got both cars through to Q3 for the third race in a row, while Esteban Ocon and Charles Leclerc were also in the top 10 as their teammates dropped out in the second part of qualifying.